3LAB h Serum 1 oz. 3LAB h Serum is the world's first clinical serum with Nano-Claire GY&trade;, a bio-engineered growth factor that helps replace vital nutrients lost with age.As we age, the body produces less hormones, resulting in fine lines, sagging skin, loss of elasticity and dullness. 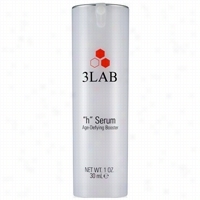 3LAB h Serum recreates the essential energy of human growth hormones (hGH) naturally produced in the body to speed up cellular turnover for youthful, healthy skin. Using an exclusively developed natural extraction process and Nano-liposome technology 3LAB h Serum is like hormone replacement therapy for your skin. With a powerful, Antioxidant formula, 3LAB h Serum delivers unprecedented effectiveness in reducing the skin degradation associated with wrinkles, loss of firmness and elasticity and uneven pigmentation.Benefits:Enhanced skin penetration of growth hormone through nanotechnology.Powerful antioxidants protect the skin against the most prevalent cause of wrinkles and natural degradation. 3LAB Super h Serum 1.17 oz. 3LAB Super h Serum is a new super-powered skin Booster with Nano-Claire GY&trade;, 3LAB's exclusive bio-engineered growth hormone. 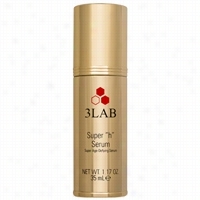 3LAB Super h Serum contains the most powerful antioxidants and scientific ingredients to combat all the signs of aging. With this new, powerful and natural antioxidant formula, 3LAB Super h Serum delivers unprecedented effectiveness in reducing the skin degradation that accompanies all aspects of the aging process. Benefits:Reduces the appearance of wrinkles at the dermal/epidermal junction - starting at the basement layer and working its way up to the skin's surface.Gives instant firmness and lifting to the skin.Minimizes the appearance of fine lines and wrinkles.Diminishes and reverses the effects of UV light on the skin.Helps prolong the life of healthy skin cells.Reduces age spots for brighter, clearer skin.Moisturizes and smoothes the skin. Source Naturals Skin Care - Skin Eternal DMAE Serum - 1.7 fl. oz. 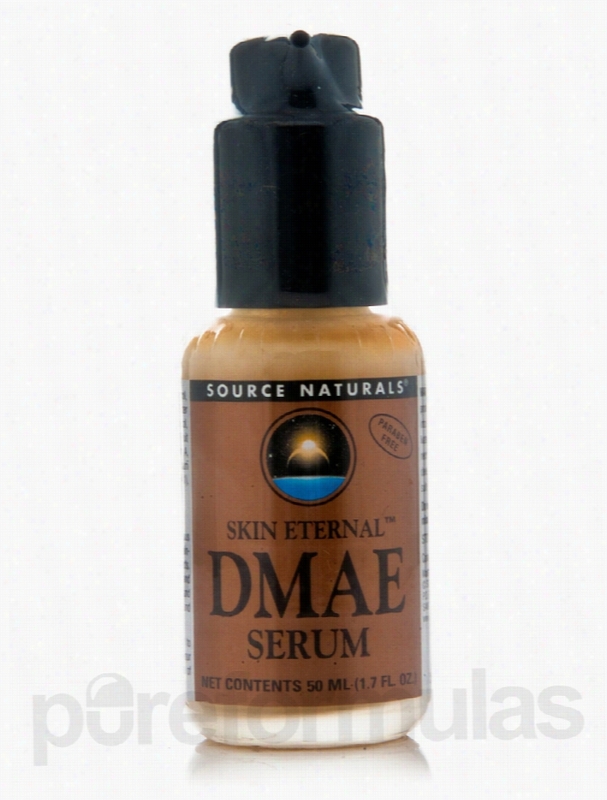 Skin Eternal DMAE Serum 1.7 oz from Source Naturals may help the skin feel softer and replenished. Dimethylaminoethanol (DMAE) is a primary alcohol used as an emulsifier in skin-care products. Studies have shown that DMAE skin products like the one from Source Naturals might have anti-aging properties and aid in making the skin feel firm and young. Your delicate skin is affected by sunlight&sbquo; pollutants like dust and smoke and cosmetics&sbquo; and needs to be replenished every day. The Skin Eternal&trade; DMAE Serum is a moisturizing lotion&sbquo; rich with the goodness of Herbal extracts and many vitamins. The serum contains chamomile extracts&sbquo; which contribute moisturizing and anti-inflammatory benefits. This cream could aid in refreshing your skin after a stressful day. The serum from Source Naturals also contains alpha lipoic acid&sbquo; an antioxidant that may fight cell damage and reduce the appearance of fine lines and roughness caused by exposure to the sun. This serum can be easily absorbed by the skin&sbquo; to make the skin feel rejuvenated. With a mild fragrance of kiwi and coconut&sbquo; the Skin Eternal DMAE Serum 1.7 oz from Source Naturals may help reduce fine lines and improve the overall appearance of aging skin. These statements have not been evaluated by the Food and Drug Administration (FDA). These products are not meant to diagnoseÃ¢ÂÂ treat or cure any disease or medical condition. Please consult your doctor before starting any exercise or nutritional supplement program or before using these or any product during pregnancy or if you have a serious medical condition. 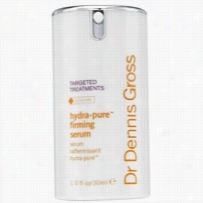 Dr Dennis Gross HydraPure Firming Serum 1 oz. By combining the benefits of the Hydra-Pure Chelating Complex&reg; with a cocktail of antioxidants that stimulate AND prevent collagen breakdown, this serum can provide the equivalent of laser resurfacing to the skin. - Dr. Dennis GrossMD Skincare's Hydra-Pure&reg; Antioxidant Firming Serum contains fourteen collagen-building ingredients in one product.Multiple active ingredients penetrate the skin, through a micro-encapsulated delivery system, to literally resurface the skin by intensifying the delivery of all ingredients.In addition, the formula contains the added benefit of the Hydra-Pure Chelating Complex&reg;, which detoxifies skin and organifies the heavy metals found in tap water. Antioxidants do not have the ability to neutralize heavy metals. Only chelators are able to neutralize heavy metals on the skin. Detoxification is enhanced through the unique delivery system of the serum. 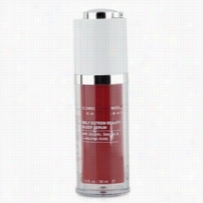 CellexC Advanced C Serum 1 oz. Cellex-C Advanced C Serum is a lightweight, oil-free, aqueous solution containing a high concentration of Cellex-C Complex signature ingredients, plus powerful free-radical scavengers and natural collagen protectors.Cellex-C Advanced C Serum contains 17.5% vitamin C in a combination of free form and hydrolized ascorbic acid to maximize visible benefits to the skin in the shortest possible time.Benefits:High levels of L-ascorbic acidâboth free-form and hydrolizedâcoupled with powerful anti-oxidant protection make this formulation the most important skin saving product in your daily skincare regime. Regular use may dramatically reduce the visible signs of agingâfine lines, wrinkles, age spots and sagging skin. Can help you look 5 to 10 years younger. Helps increase the elasticity and resilience of the skin to greatly reduce the appearance of lines and wrinkles. Treated skin will gradually appear firmer and smoother with improved texture, tone and overall radiance. 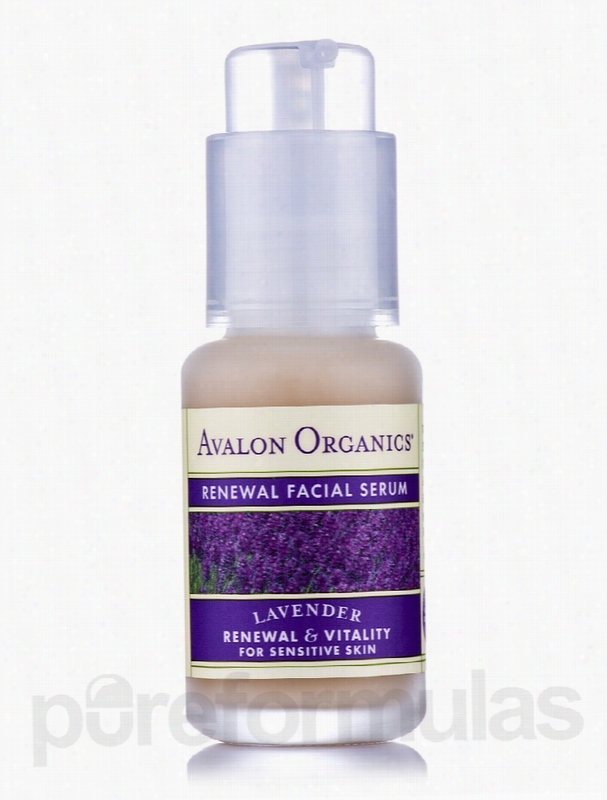 Avalon Organics Skin Care - Organic Renewal Facial Serum - 1 fl. oz. The Organic Renewal Facial Serum 1 fl. Oz from Avalon Organics&reg; is known to be a powerful agent for repairing and renewing of skin. It may contain botanical ingredients like grape seed polyphenols&sbquo; organic white tea&sbquo; vitamin C&sbquo; etc. A regular usage of this cream may help in keeping the skin on your face and neck smooth&sbquo; radiant and charming. This skin cream from Avalon Organics&reg; may aid in smoothening your skin and giving it a highly balanced tone. It may also help in reducing inflammation and giving your skin a calming effect. This skin serum is known to contain a blend of botanical extracts&sbquo; which may be a powerful agent for skin conditioning. Researchers believe that the organic lavender and licorice root in this serum may provide an intensive therapy to calm the skin. Further&sbquo; ingredients like organic white tea and vitamin C extracts may protect the skin from free radical damage. This skin cream is also known to help in restoring skin&rsquo;s moisture balance. The cream is known to be made under strict no animal testing policies. This skin serum is an organic and vegetarian product&sbquo; and is free from paraben&sbquo; preservatives&sbquo; synthetic fragrances and artificial color. Get the Organic Renewal Facial Serum 1 fl. Oz from Avalon Organics&reg; and give your face unmatched radiance and smoothness. These statements have not been evaluated by the Food and Drug Administration (FDA). These products are not meant to diagnoseÃ¢ÂÂ treat or cure any disease or medical condition. Please consult your doctor before starting any exercise or nutritional supplement program or before using these or any product during pregnancy or if you have a serious medical condition. 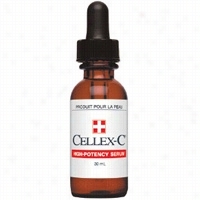 CellexC High Potency Serum 1 oz. Cellex-C High Potency Serum, oil-free serum was created by Dr. Lorraine Meisner, a cell biologist and cytogenecist and Dr. Michael Schinitsky- a pathologist.Contains 10% vitamin C.Benefits:Tone and firm sagging skin and reduce the visible signs of aging.Designed by dermatologists to help rid the face and neck of fine lines and wrinkles.Cellex-C High Potency Serum causes skin to gradually appear firmer and smoother, with improved color, tone, and texture.Please note: SkinStore.com unequivocally guarantees that Cellex C is not expired, will not expire shortly after purchase, and is the genuine Cellex-C produced by Cellex-C International and distributed by Caleel + Hayden. Sjal BioRegeneratif Serum 1 oz. A highly active energistic serum focusing on cellular regeneration, lifting and wrinkles with the latest targeted peptides complexes at clinical levels combined with SjÃ¤l's signature gemstone and mineral blend for protection, radiance, energy and even skin tone.Patented Platinum and Peptide Complexes provide comprehensive Anti-Aging treatment including lifting, regeneration and wrinkle depth reduction. The frequency of SjÃ¤l's proprietary gemstone blend containing amethyst, ruby, sapphire, diamond, tourmaline and quartz, vibrationally resonates at a cellular level, allowing for optimized cellular energy and metabolism, while supporting clarity and microcirculation.Luxuriously light and supple texture easily penetrates the skin with an energizing finish ideal for day and evening application. SjÃ¤l bio-regeneratif serum utilizes airless packaging to protect and preserve product integrity and unique formula. Dermelect Self Esteem Beauty Sleep Serum 1 oz. Fine lines, dark age spots, clogged pores and wrinkles are all telltale signs of aging, photoaging and unhealthy skin. Dermelect Self-Esteem Beauty Sleep Serum is a highly concentrated anti-aging exfoliator that stimulates collagen-building cell activity while working to help reduce wrinkling.It provides you with the ability to literally level your fine lines and produce noticeable results. Containing collagen boosting Vitamin C, an antioxidant which helps lighten hyperpigmentation leaving you with a brighter, more even complexion. Simply apply this anti-aging exfoliator, leave on overnight and see the dramatic skin renewing results in the morning. Results in drastically smaller-looking pores, smoother skin and a brighter, more even complexion.Benefits:Dual purpose treatments- facial and dÃ©colletÃ©.Oil free, wrinkle refining serum.Ideal for fine lines, clogged pores and age spots.Tones, tightens and brightens.Safe for all skin types. 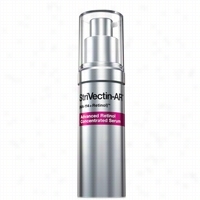 StriVectinAR Advanced Retinol Concentrated Serum 1 oz. All the Potency. None of the Irritation. Advanced Retinol Concentrated Serum combines Retinol and patented NIA-114 technology in an Anti-Aging multi-action treatment to deliver all the potency of Retinol with no irritation. Clinically proven to leave skin dramatically more refined and radiant, reducing the appearance of fine lines and smoothing texture for a reduction in the look of pores. Advanced Retinol Concentrated Serum is a silky, fast-absorbing layering treatment that combines Retinol and patented NIA-114 to fight major signs of aging. StriVectin's most concentrated level of Retinol in a silky, ultra lightweight serum delivers two powerful anti-aging actives in one powerhouse, multi-action treatment. For Retinol (vitamin A) to achieve its age-fighting efficacy, it needs to convert to its active form. Proprietary NIA-114 technology activates Retinol and strengthens the skin barrier, reducing the sensitivity common to Retinol.